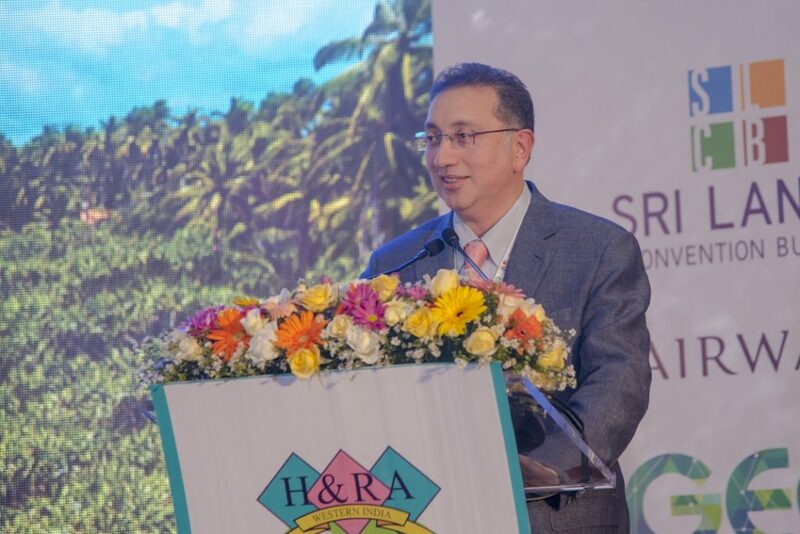 Hotel & Restaurant Association Western India held 18th annual regional meeting in Hilton Colombo and managed by Colombo Conferences in Sri Lanka. The event was a great success as more than 100 delegates representing HRAWI were presented at opening dinner, knowledge sharing session and networking session organized by HRAWI. Besides, they held the association’s first regional convention outside the country here in Sri Lanka. The convention served as an ideal platform for industry players to learn and adapt to the evolving market trends. Themed ‘Surfing the Wave of Global Tourism’, accordingly the convention’s objective is to explore new avenues in the global culinary world, including emerging restaurant trends in Sri Lankan cuisine, and the influence of food and travel bloggers in hospitality. Kumar De Silva, Chairman, Sri Lanka Convention Bureau; Sanath Ukwatte, President of Hotel Association of Sri Lanka; Aravinda De Silva, Deputy Chairman, Ideal Motors; John Amaratunga, Minister of Tourism Development and Christian Religious Affairs; and Taranjit Singh Sandhu, plays host to 18th Regional Convention Honorable High Commissioner, High Commission of India. The second day began with a city tour paired with a lunch at a local restaurant. Later, that evening was a traditional performance and rendition of both national anthems at the Hilton Grand Ballroom. Third day was dedicated to business and networking. It was with four different sessions on various aspects of hotel operations, food and travel bloggers, hotel interior trends, emerging restaurant trends, and emerging trends in Sri Lankan cuisine.Additionally, the Hilton has also designed a special Spouses Program, which involves a tea session with pairing of Sri Lankan food. The third morning was for a shopping outing at the famous Odel Shopping Mall.